Disney isn’t the only company trying to leverage comic brands to create a streaming service. DC Universe launched in September 2018 with a number of original strands of programming, along with existing DC films and TV series. It is currently only available in the U.S., with no official dates for a European rollout. Netflix has already picked up one series, Titans, from the service for European distribution, and it remains unclear if the service will launch at all in Europe. Another service which has been long mooted but has so far been little more than a rumour is Apple TV, which looks to finally be launching later this month. But so far, details are hard to come by, so judging its potential impact at this point is difficult. The amount of investment in terms of high-profile personnel, such as BBC veteran Joe Oppenheimer, ex-WGN exec Matt Cherniss, and Jay Hunt, formerly chief creative officer of the UK’s Channel 4, is significant, but what that actually means in terms of a consumer product and unique selling proposition remains to be seen. has yet to be seen. Facebook Watch, the social competitor in this space, has shown growth in the U.S., with 50 million people watching at least a minute of content each month. However, these are still comparatively low numbers, and it will be interesting to see what impact the worldwide launch of the platform in September 2018 will have both on viewership and engagement. The number of specially commissioned shows worldwide was relatively low as the platform was opened up. Any creator with at least 10,000 followers producing videos at least 3 minutes in length with more than 30,000 1-minute views over the past 2 months could appear on the Watch tab. in November 2018, the number of territories where the live, interactive quiz show Confetti was available was expanded to six. The show is very similar to HQ Trivia in format, with the audience being asked questions with three potential options by a presenter. To win, the viewers must answer a total of 10 questions correctly; all those who do so get an equal share of the prize money. The ability to see which of your friends are watching and playing, as well as the generation of a friends’ leader board based on the total number of correct questions answered so far, has the potential to not only increases viewing times but also create more return viewers. At the moment, the tools for a Facebook Live game show are limited to changing a few variables within this format, but these tools will grow more and become more flexible. 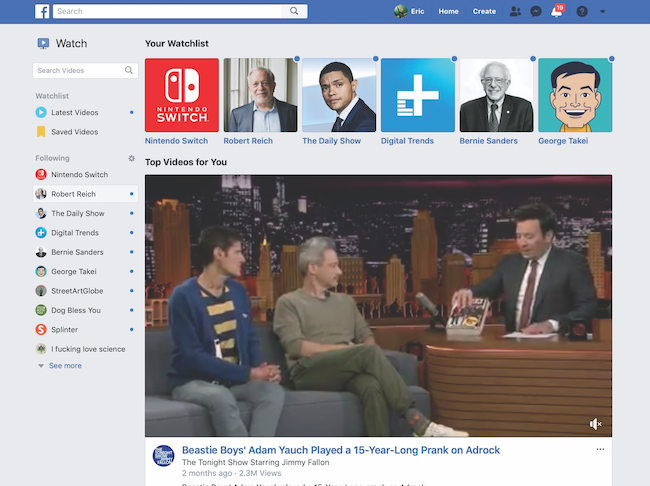 By the end of 2019, Facebook Watch will be able to be used for a much wider range of gameshow formats, as well as having other applications. These more interactive formats, along with the use of more high-profile creators, will be key in turning Watch from a comparatively niche offering to a global success. 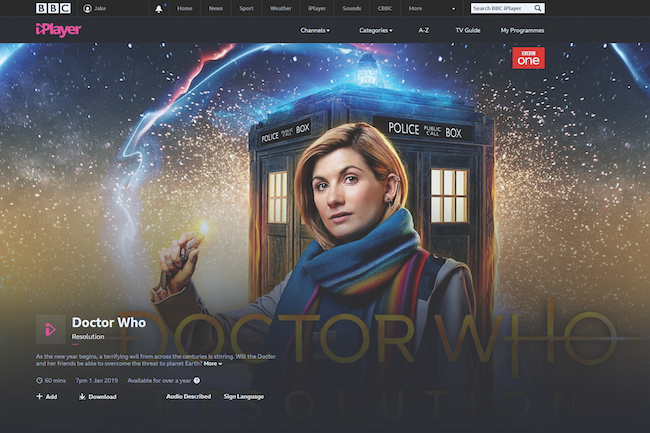 As a general bellwether of the overall growth of the market, in the UK, the BBC iPlayer continues to grow in usage despite no real developments in functionality. As one would expect, the growth in viewership was driven by strong content, and October 2018 was the most popular month ever, with 334 million programme requests, up almost 18% from October 2017. Content drove this growth, with a new series of Doctor Who and high-profile dramas The Cry and Killing Eve all contributing to the increase in viewership. Again, this seems to suggest that even in relatively mature markets (the iPlayer is now 11-and-a-half years old), there is still significant potential for OTT platforms to attract more of the total audience. One of the other big players in this market, Amazon Prime Video, is difficult to quantify, as very little information is reported by Amazon. However, there are some interesting developments in terms of strategy globally as Amazon seeks to differentiate itself from other players in the market. The launch of a regional slate of programming for India in November, along with the support of more languages, seems likely to increase this reach. The addition of Hindi services, along with support for Bengali, Marathi, and Tamil, was seen as a major differentiator when compared to services from Netflix. Another key difference between Amazon and others is its investment in live sports content. The deal with the NFL for Thursday Night Football (TNF) has delivered a growing audience this year. Weeks 4–10 of the season, which were available in around 200 territories, were watched by a combined 14.7 million viewers, which is up 22% compared to this time last year. Interestingly, despite the overall viewership for the NFL rising 3% this year, TNF is actually down 7% on average, suggesting that Amazon is managing to take audience away from broadcast television. A clear sign of Amazon’s intent to attract more of this audience is its bid for 22 regional sport networks (RSNs) in the U.S. The RSNs have been put up for sale, as government regulators have insisted Disney sell them as part of the Fox merger. The network’s access to regional sports would not only allow Amazon to offer more regional content but also a wider range of local sports to a small but significant audience worldwide, a potentially attractive offering to those audiences that could help drive additional subscriptions globally. All in all, with more services entering the market in 2019 and trying to gain a share of the growing audience, questions arise about how many services the average consumer is willing to pay for. In the coming months, a number of factors will influence how the market develops. How big a share of the market can Disney hope to pry from Netflix and Amazon? How disruptive will Apple TV actually be if it finally manages to launch? What kind of pressure will these new entrants and the larger established platforms put upon other services such as BBC iPlayer and, more significantly, on newer services such as DC Universe? Is the latter likely to be simply a niche U.S. channel? Finally, will Facebook’s move to try and truly differentiate its offering lead to success or simply customer confusion? Only time and the market will tell, but what is certain is with more services with compelling content entering the market, it continues to pile pressure on both traditional broadcasters and the more niche streaming services as consumers’ budgets are spread more thinly across a range of platforms. The cord may be being cut by more people, but it may no longer mean that viewers are cutting their overall spend.